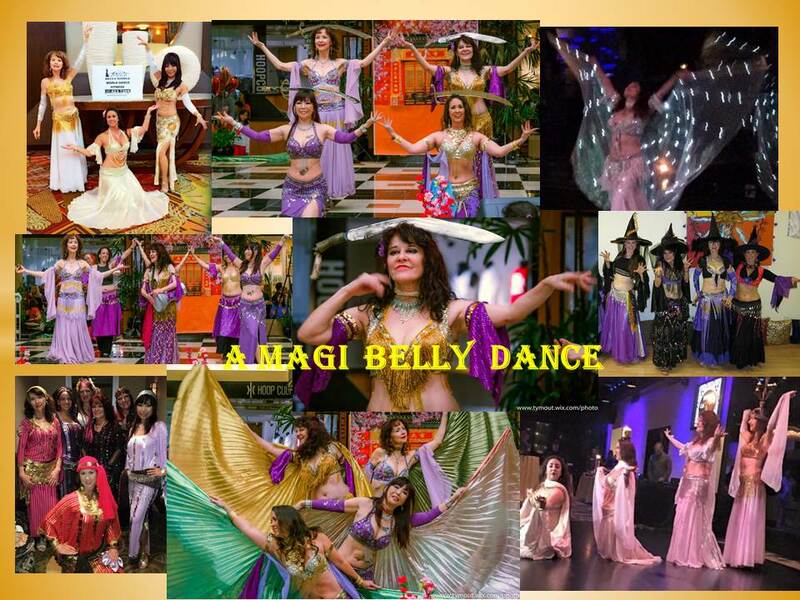 A MAGI TEMPLE World Belly Dance School Offers Belly Dance Classes for Beginners thru Professional and World Dance! 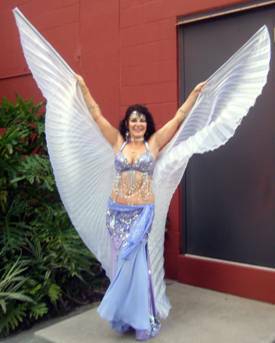 Orlando's Longest Established & Award Winning Belly Dance School & Premiere Company! Under the Direction of Melanie LaJoie, Orlando's GRAND DAME & MASTER INSTRUCTOR of Authentic Mid-East Classical Belly Dance & Folkloric! 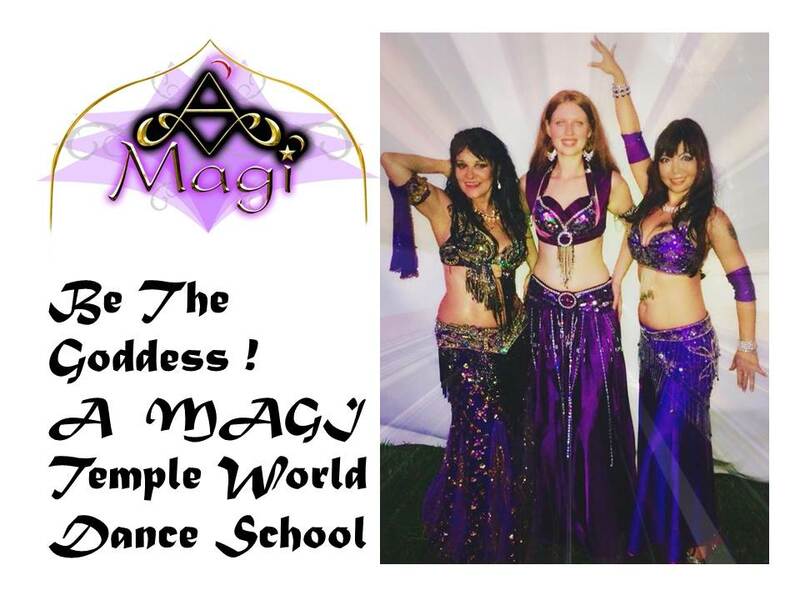 A MAGI Temple offers classes in Belly Dance: (Classical, ATS Tribal, Fusion, Folkloric "Roots," Funk! ), Bollywood & Masala Bhangra, Samba, Gypsy Dance, Hula, Drums & more\! Belly Dance Classes - World Dances too (Bollywood, Samba, Gypsy, Mid-East Folkloric) for beginners through professional for fun, fitness & lasting friendships - performance opportunities are available! AWESOME A MAGI Events and Special Workshops! A MAGI Gypsy Troupe will be Performing 6/2/19 Sunday 4pm at Wayne Densch Performing Arts Center, Sanford FL for Flamenco Dance Group: Alborea's Show: "Journey to Andulcia!" Save the Dates! More info to Come! Be a STAR at A MAGI! Melanie LaJoie, International Performer with over 35 years study & performance (Egypt, Morocco, Boston, NYC, Europe, Cruise ships) is "Orlando's Crown Jewel of Belly Dance Specialists" (WKMG-TV6) & now an official "Legend of Belly Dance in New England"
A MAGI won 1st Place at Arts Talentxtravaganza at Orlando Public Library performing a fusion of Traditional Egyptian Saidi Folk/Cane Dance & Tribal Belly Dance! Melanie LaJoie, A MAGI Director & Founder is the proud grant recipient attending the April 2011 Seminar "Remembering Bobby: A Dance Seminar Dedicated to the Legacy of Ibrahim Farrah" funded in part by a Professional Development Grant in the Performing Arts Category from United Arts of Central Florida to attend this seminar and additional training with her former NYC dance mentors and stellar artists. Upon her return, Melanie will be scheduling workshops, training & additional solo & A MAGI performances dedicated to the legacy of the late, great Ibrahim Farrah and his extensive research in traditional Mid-East dance and culture. Melanie would like to the thank the United Arts of Central Florida for this grant funding allowing her to continue her studies and training and to enhance the training and studies of dedicated world dance students throughout Central Florida! 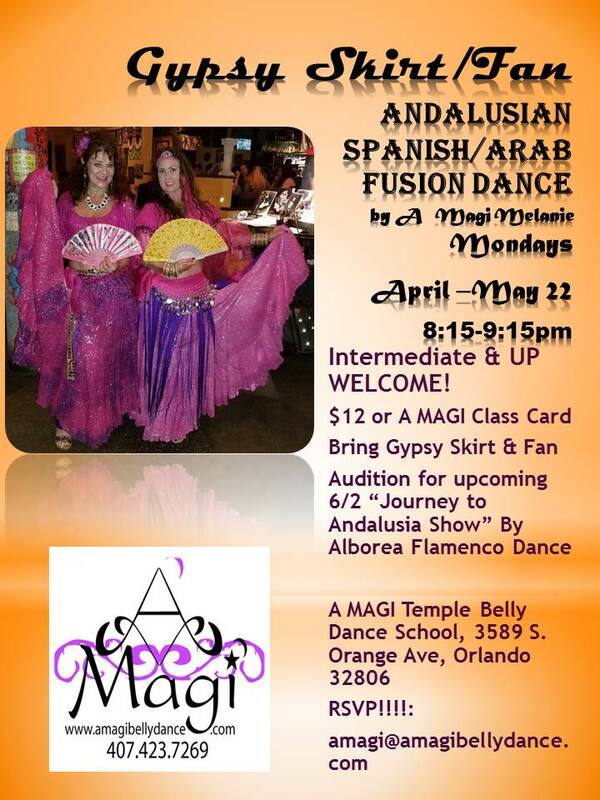 "Grand Dame of Belly Dance In Florida"
A MAGI Temple is conveniently located near downtown Orlando at 3589 S. Orange Avenue, Orlando, FL 32806 407-423-7269 to register!